It’s always pretty incredible to see how much kids can grown and change in such a short amount of time, and an afternoon with this family proved that point. Last year I photographed these four in the sculpture garden at the de Young Museum in San Francisco, but his year we decided to explore around near their home in Mill Valley. 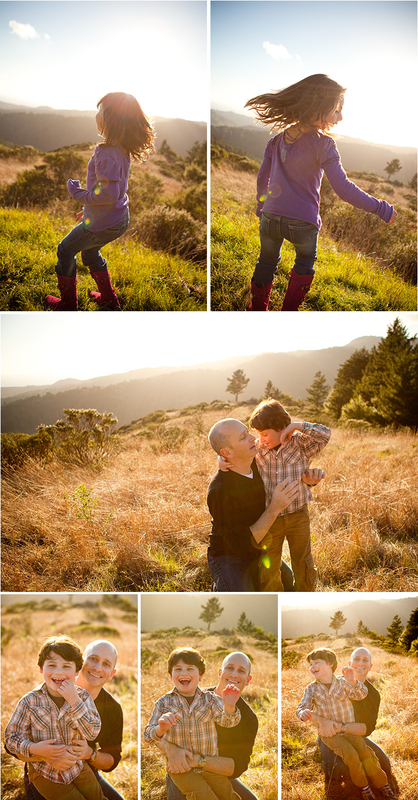 It was so beautiful to see how their son Noah responded to the serenity of this location. Noah has an extremely rare genetic disorder called Angelman Syndrome, (a communication and neurological disorder in which the he is nonverbal and is cognitively impaired) and he’s usually constantly on the move in every direction, but that afternoon he seemed so calm and almost mesmerized by being in such a beautiful spot and he would just sit and smile at his surroundings. 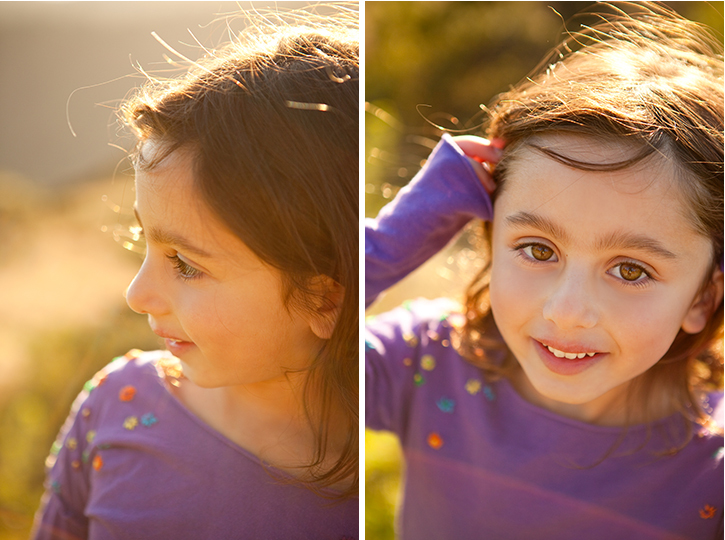 Noah’s sister Talia seemed to love it too, as she showed me all of her new dance moves and played with her brother, and then we all just followed the sun as it dipped down into Marin headlands. Seeing the way this family loves and supports each other and the way the parents both create a steady sense of calm was such an inspiration to me and it was an honor to document their connection.